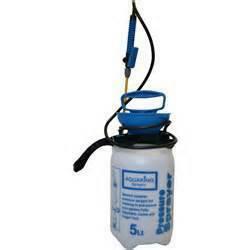 Aqua King Pressure Sprayer 3L. Ideal for foliar feeding medium grow areas, use for spraying fertilisers herbicides pesticides and detergents. Adjustable spray head for wide or narrow jet. 45psi release valve prevents excess pressure build up ensuring safe use. Trigger lock for comfortable use and supplied with shoulder strap for easy transport.